The Western Shoshone tribes stretch across Idaho, Nevada, Utah, and California. Most recently, they have been struggling against the United States government to conserve land on and around Mount Tenabo, a landmark essential to Shoshone creation stories. However, the dispute between the Western Shoshone and the government is not new; officially, their relations began around 1863 with the Treaty of Ruby Valley. This treaty recognized official Western Shoshone territory. But, in the past decade or so, the government has abused this land and its resources, and the Western Shoshone have been fighting back since. The battle for land between the United States government and Native Americans has been ongoing and relentless for centuries. This land is sacred to Native Americans, and the government has failed to see this as a valid reason for having access to what is now considered “public” land. Lack of understanding for Native American traditions is the biggest catalyst in these land disputes. This remains true for the Western Shoshone and their efforts to protect Mount Tenabo and surrounding land from mining. The Shoshone place much of their beliefs in this land. It is the site for their creation stories, performing sacred ceremonies, and collecting medicinal plants. Carrie Dann, a member of the Shoshone tribe, explains that “destroying [the land] is destroying the way we believe. If you destroy land as indigenous people, that is destroying life…I don’t just mean life now, but the life for the future” (Wolf). The destruction of this land is most literally the destruction of the Shoshone tribe. Though this land has been cause for conflict on many occasions, the United States continued to win any cases because the resources were valuable to many gold mining companies, and in their eyes, it was “public” property. However, in November 2007, the issue was once again brought to the attention of the public in the documentary “Our Land, Our Life.” The movie won Best Documentary at the 32nd Annual American Indian Film Festival, and once again, sparked conflict. What the government seems to misunderstand is the sacrality of the land, which the Shoshone call Newe Sogobia, meaning “the people’s earth mother” (Corbin). Despite this, the government still controls nearly 90 percent of the land, providing no reparations to the Shoshone, who currently “control” only 0.1 percent of their land. 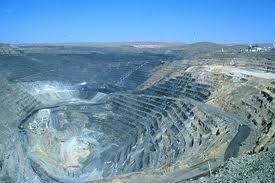 Not only is mining detrimental to the Newe Sogobia, but also to the health of Shoshone people. In 2005, Barrick Gold, a prominent mining company, received permission from the U.S. government to mine into 30,000 additional acres near Mount Tenabo. Three years later, the company received permission to dig a mine directly on the mountain. The Western Shoshone protested as the project caused “the permanent loss of 817 acres of pinion trees, which provide pine nuts, a traditional Western Shoshone food source” (Corbin). The project also greatly impacted the natural groundwater, and will subsequently endanger 50 surrounding springs (Corbin). 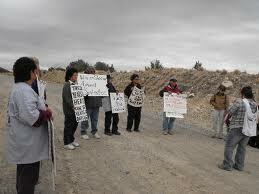 Unfortunately, the Shoshone’s protests were not enough and their requests to stop the mining were denied. Much of the trouble the Shoshone have encountered has been due to antiquated laws such as the 1872 Mining Law. The Law requires that if there is a mining claim to “public” land, the federal government cannot say no. Despite environmental impact, or threats to indigenous traditions, the Law trumps all other uses for the land. In order for the Shoshone to truly have ownership of what should be their land, the 1872 Mining Law must be reformed and rewritten in a more reasonable manner. Reform is necessary not only for the sake of the Shoshone people, but also for the environment, and most importantly, the Newe Sogobia. Corbin, Amy. “Sacred Land Film Project » Mount Tenabo.” Sacred Land Film Project. 4 Feb. 2010. Web. 28 Jan. 2011. <http://www.sacredland.org/mount-tenabo/>. Wolf, Lisa J. 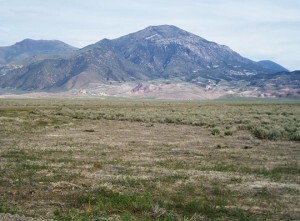 “Shoshone Use Film, Courts to Fight Gold Mine on Sacred Land.” Environment News Service. 6 Dec. 2007. Web. 28 Jan. 2011. <http://www.ens-newswire.com/ens/dec2007/2007-12-06-01.html>.